The popular trading maxim of sell-in-May-and-go-away may prove misguided in 2018. This month could instead see America’s aging bull market flare up again before failing in the second half of 2018. Equities have spent three months consolidating February’s sharp correction. Fears of accelerated Fed rate increases and a potential trade war between the U.S. and China have capped any gains. There are reasons for short-term optimism in relation to both concerns. Excessive U.S. monetary-policy tightening is a genuine threat, having played a role in ending most previous bull- markets. However, Friday’s jobs data showed hourly wage growth in April came in below expectations for the third consecutive month, putting to bed talks of an accelerated rate-hike cycle, for now at least. The two-day China-U.S. negotiations broke up without a whiff of a deal so trade tensions remain a risk. But there seems to be relief that there was a lack of confrontation at the meeting and that dialogue will continue. Importantly, the can has been kicked down the road, giving stocks some breathing room to rally. Putting this together, there appears to be a temporary reprieve from both trade friction and Fed tightening pressures. This will give investors a window to instead focus on an excellent earnings season. 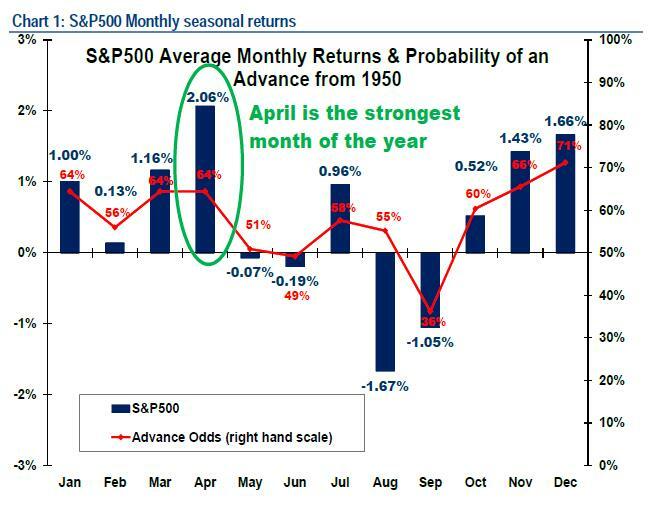 Before the 2008 financial crisis, the adage to sell in May and go away generally referenced the end of the month but the negative seasonals have shifted one month earlier during the past decade. Maybe with the ongoing normalization of U.S. monetary policy, this warning could also revert to its pre-crisis meaning. 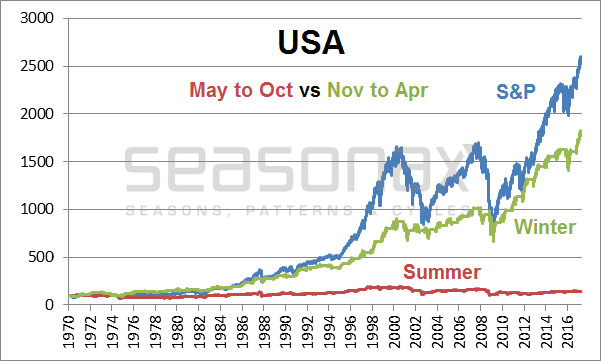 May might see one last hurrah for stocks before the real summer selling pressure hits.